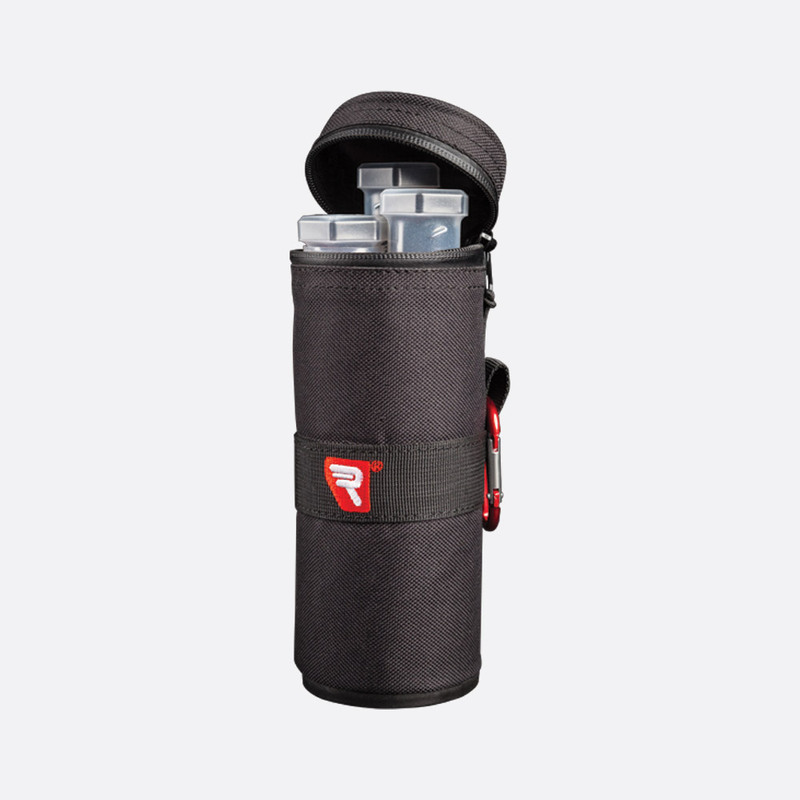 Rycote microphone protection cases protect and carry up to three microphones within telescopic, plastic tubes which fit into a lightweight PVC outer case covered with a water-resistant, 600D Oxford Nylon fabric layer. The case is tubular, with zip-fastening around the upper edge and a webbed carrying-strap and carabiner for easy attachment to a bag or belt. 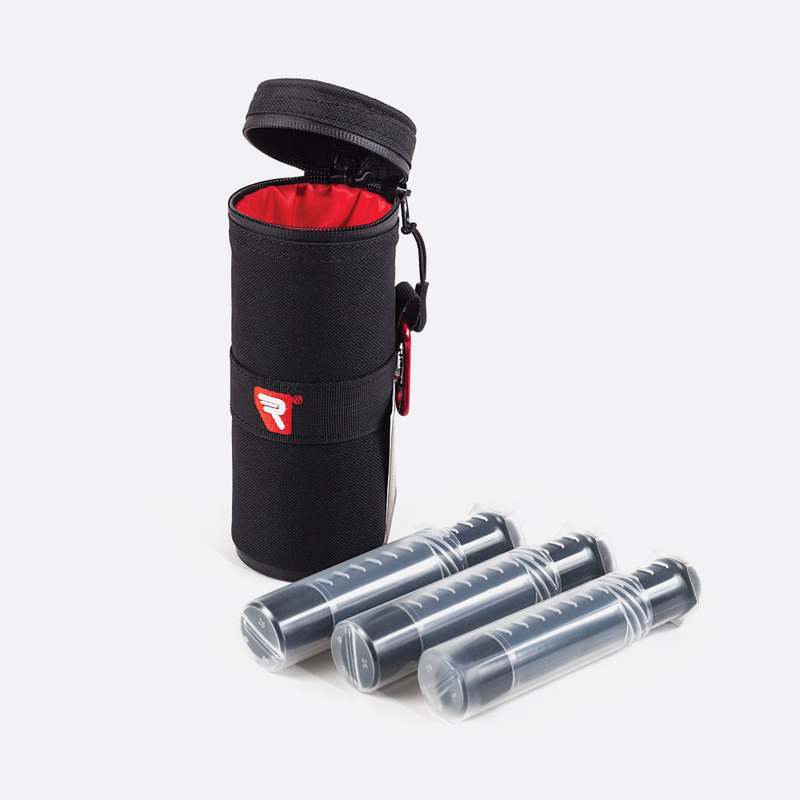 Each protector case has three telescopic, clear, PVC tubes, which have hexagonal tube caps to prevent rolling on flat surfaces. 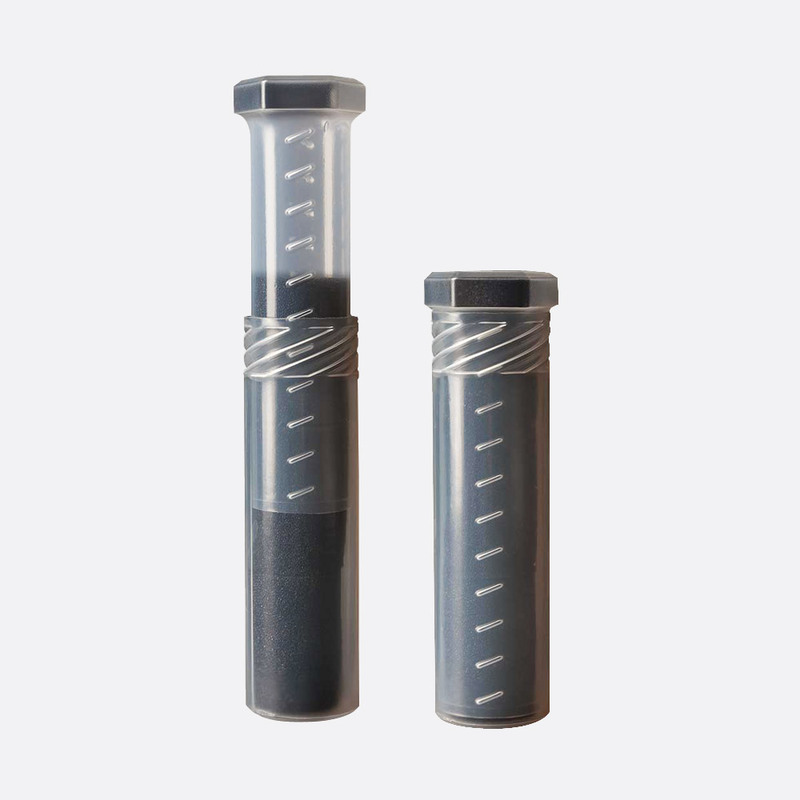 The tubes can be adjusted in length by screwing the lid further into the base and vice versa. 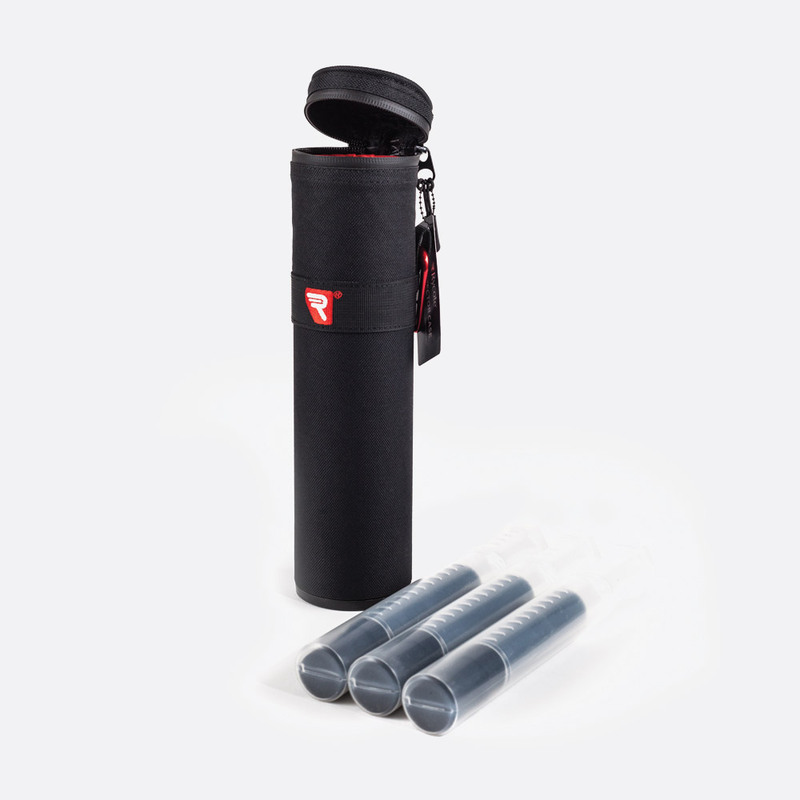 Each PVC tube is supplied with four foam inserts, to help protect the microphones from transit-shock.The foam inserts can also be used to separate smaller microphones where multiple microphones will fit into a single tube. 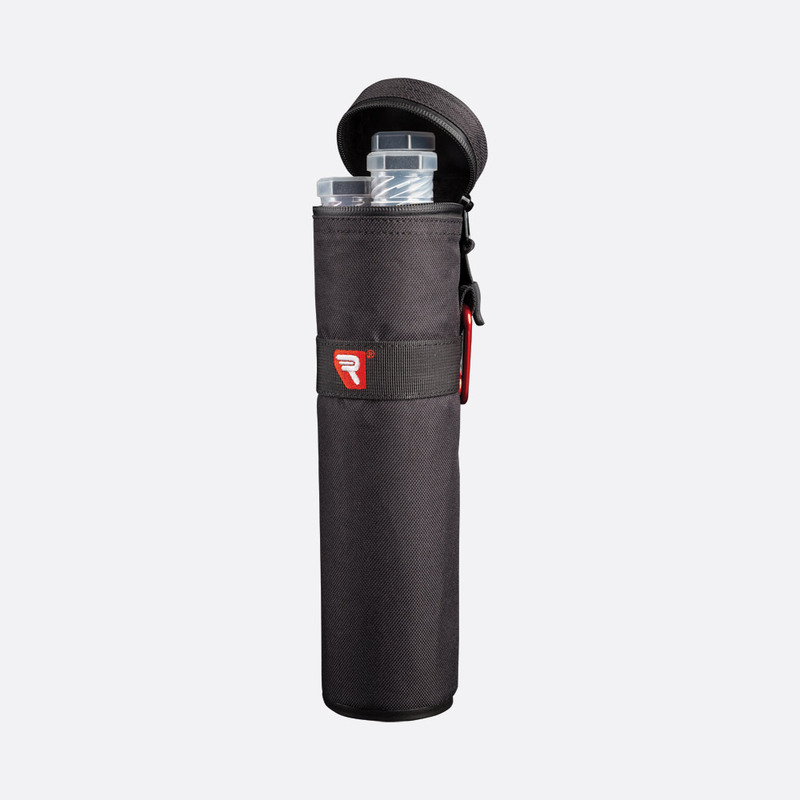 This case has PVC tubes which have a telescopic range of 125-180mm. External dimensions: 200x75 (LxD) mm. 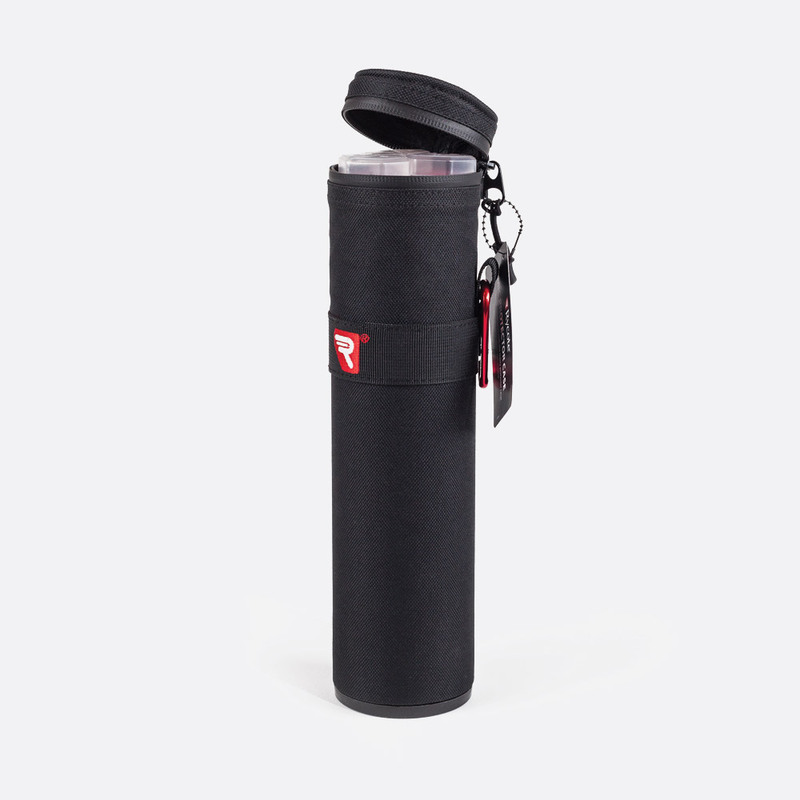 Weight: 300g, including microphone tubes and carabiner; 240g, without tubes and carabiner. 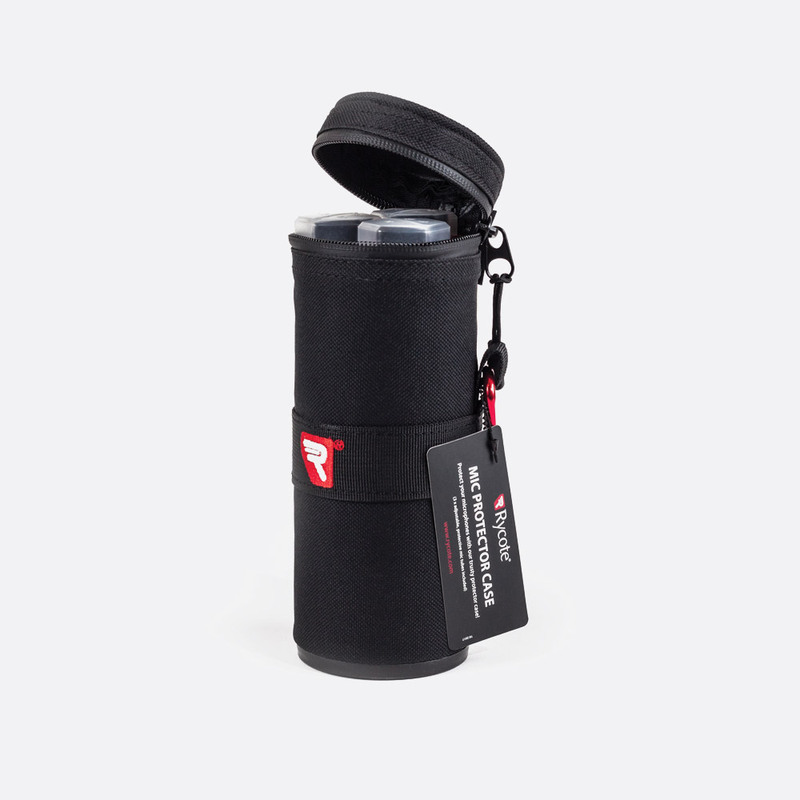 This case has PVC tubes which have a telescopic range of 200-340mm. External dimensions: 300x75 (LxD) mm. Weight: 440g, including microphone tubes and carabiner; 340g, without tubes and carabiner.